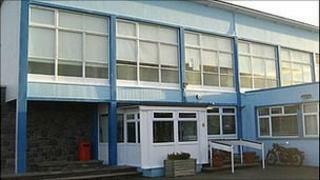 The States of Guernsey has given the go ahead for Les Beaucamps High School building to be demolished. In June, the Education Department proposed that £35m should be spent on rebuilding the site. The new school building and community sports centre have now been agreed by planners, although the original building has to be knocked down first. Les Beaucamps was built in the late 1950s and currently has more than 500 pupils.